Once you have mastered exposure, the next focus (forgive the pun) will be composition. Composition is defined as the “act of combining parts or elements to form a whole”. Do you look at photographs and find them interesting or pleasing, even beautiful, but don’t really know why? On the other hand do you look at photographs and think that they don’t look right for some reason? Again you may not be able to put you’re finger on the reason why you don’t like a particular photograph, but hopefully the following article will help you understand what makes a good photograph and a bad one. Below is informative video tutorial regarding composition of photographs that I thought might be of interest. 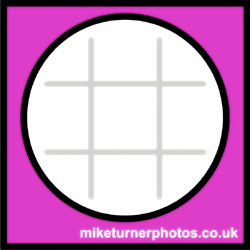 The remainder of the article covers laws such as the law of thirds to isolating a subject, we have tried to detail as many of the rules that help achieve a better photograph. Feel free to add any in the comments that are not covered in this article. The rule of thirds is in fact a simplification of the golden mean. The golden mean is a ratio that has been used by visual artists for centuries as an aid to composition. When two things are in the proportion of 1:1.618, or 3/8 to 5/8, they are said to be in the golden mean. Dividing the parts of an image up according to this proportion helps to create a pleasing, balanced composition. The intersection points on a golden mean grid appear at 3/8 in and 3/8 down/up, rather than at 1/3 in and 1/3 down/up on the grid of thirds. When we look at photographs and our attention is occupied by the subject (positive space), we often don’t consider how we can use the negative space (not our subject). In the photograph below the negative space is all the space between the subject and the edge of the photograph. Generally speaking the composition works if there is a balance between the positive and negative space within the overall photo. In the example below the negative space is used to lead the viewers eyes to the subject (positive space). When taking a photograph think about the composition as a whole and how the positive and negative space is being used for the overall benefit of the photograph. The “rule of odds” states that by framing the object of interest in an artwork with an even number of surrounding objects, it becomes more comforting to the eye, thus creates a feeling of ease and pleasure It is based on the assumption that humans tend to find visual images that reflect their own preferences/wishes in life more pleasing and attractive. An image of a person surrounded/framed by two other persons, for instance, where the person in the center is the object of interest in that image/artwork, is more likely to be perceived as friendly and comforting by the viewer, than an image of a single person with no significant surroundings. The rule of space applies to artwork (photography, advertising, illustration) picturing object(s) to which the artist wants to apply the illusion of movement, or which is supposed to create a contextual bubble in the viewer’s mind. This can be achieved, for instance, by leaving white space in the direction the eyes of a portrayed person are looking, or, when picturing a runner, adding white space in front of him rather than behind him to indicate movement. Have subject looking into or across frame rather than out of it. Leading viewer on a diagonal journey form top of frame to its bottom (from one corner to opposite corner (coast line)). The couple are positioned in such a way as to allow them to move into the space in front of them (left). 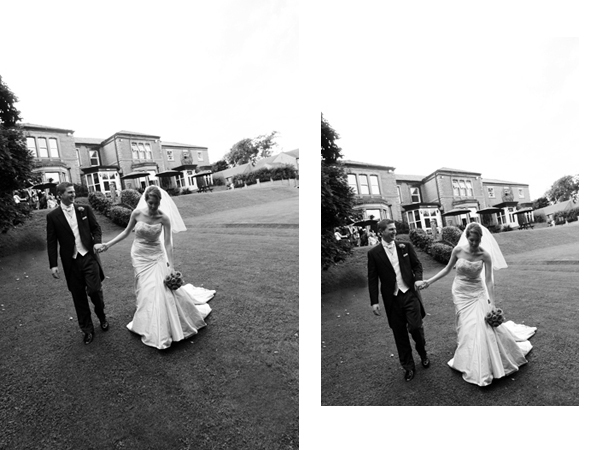 incorrect framing can leave the viewing feeling the photograph looks badly framed and poorly conceived (right). It is a subtle difference but one that makes all the difference. Don’t be scared to get in and personal. The close in feel of this photograph makes the view feel part of the story. Look to have your subjects form a triangle shape, this is pleasing to the eye. having an inverted triangle (imagine the central subject lower than the two either side) would look odd to the viewer.